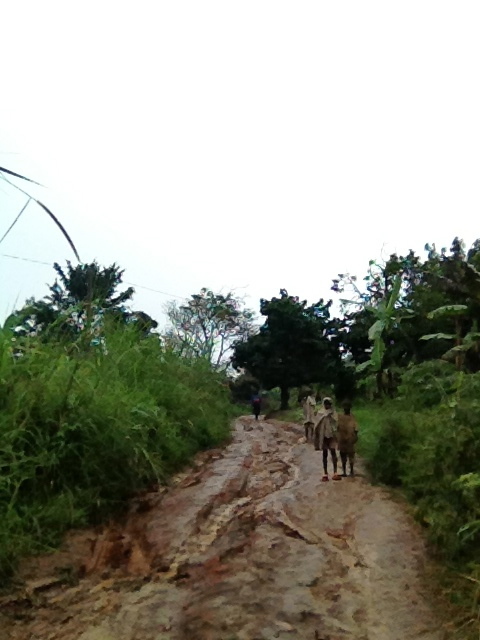 Stuck in the mud for hours in a small Ugandan village with a bus full of German Anglican priests. That’s how my trip began. True story. 85% of Ugandans don’t have electricity. They are using kerosene and/or charcoal, living in the dark. The priests and I were off to visit a project trying to remedy that, by building biofuel plants, turning maize cobs into gas which runs a generator for an entire village. While the entire village came out to push the bus out of the mud and up the hill, from ditch to mud hole to yet another ditch, my friend and I spoke to a couple of the children living there. The girl said she had 20 siblings, that her father has 3 wives. Polygamy is common. So is Christianity. The kids were barefoot. And I was getting bit up by the village mosquitos, regretting not taking the Doxycycline before I left. I would have to wait two weeks to know if I have malaria. More than some other East African countries, Uganda definitely has a problem with infrastructure, with the roads. A majority of people here get around by bogota, motorcycle taxi. Hopping on any bike at any of the stations throughout the country. The commuters carry their own helmet around all day or risk it and go helmetless. I admit to doing both. The bogota drivers are highly organized into stations, with each station having a president, treasurer, etcetera, ensuring peace and labor rights. 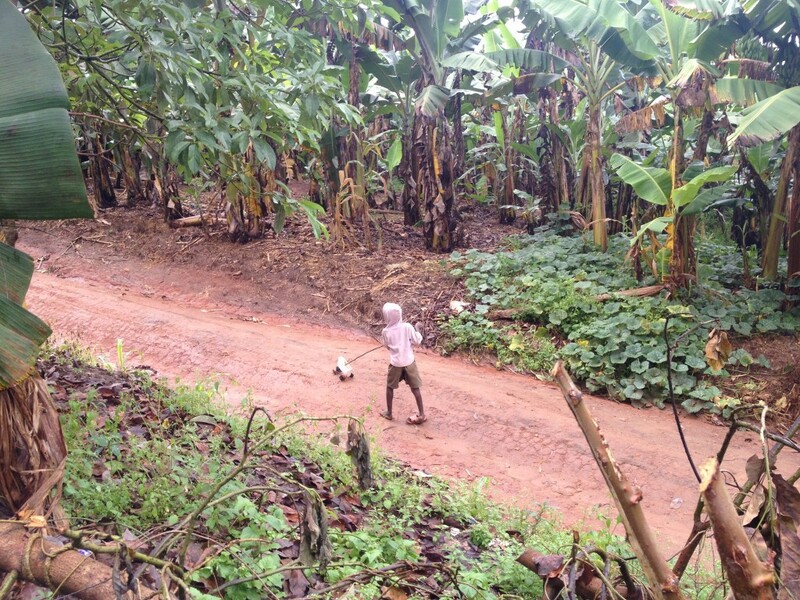 Uganda has both rural and urban life to their extremes. While in Kampala, I drank a cold beer in a fancy hotel, saw hippos and elephants and giraffes up close on safari, took in a performance of Ndere Troupe from The Last King of Scotland stardom, and led dance workshops at Makerere University and In Movement: Art for Social Change. Amazing. The dancers and arts educators were deeply talented and hungry for new ideas and practice. So welcoming to me. I hope to find a way to fund me going back soon. Plus the Nile starts in Uganda and ends in Egypt. Or vice versa. What a powerful experience to see both ends of the world’s mighty river. But back in the village, waiting four hours in the rain, I admit to feeling sorry for myself. Shoes ruined. Capri pants making me vulnerable to all the mosquitos and whatever they are carrying. Having to go to the bathroom. 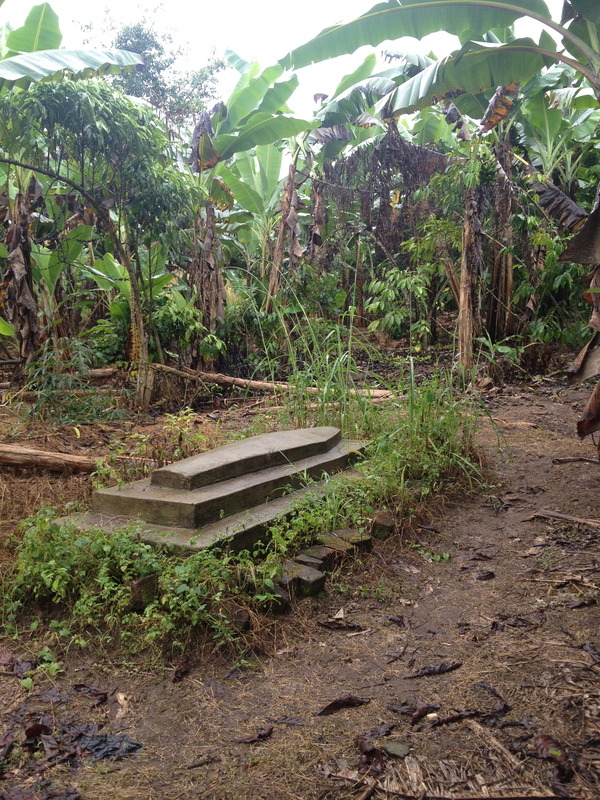 I took a long walk by myself through the farms in order to find a little privacy to do my business. Saw what seemed to be a potential spot and walked uphill toward it with an awkward, speedy, tight-legged stride. And I suddenly realized I had come upon a sacred site. I held a moment of solo reverence and respect, and kept walking. I eventually made my way back to the village road where the process of pushing the bus up the muddy hill continued. I looked back in the other direction and stopped. Surprised to see a boy walking a pet dog up another hill. Either a puppy or a toy breed. A little white canine on a leash. The boy in ripped-up old Crocs. Even though his little right ankle was turned under from some sort of injury and malformation, his gate showed that he was so happy, so proud of his companion. As he came nearer, I realized his little friend was not at all a dog but rather a white plastic bottle on wheels pushed by a stick. A toy he had made himself. He looked back towards me and smiled. Yes, Uganda has shocking problems with infrastructure. Yes, 85 % of Ugandans don’t have electricity. But when I look at the faces of the next generation, I understand something unexpected… These children are the bright lights in Uganda. Lovely post. I agree that Uganda’s children are indeed bright lights. I had the chance to spend some time there in 2005 when I volunteered at the Mbarara University of Science and Technology’s teaching hospital. I was supposed to be the attending but really I became a student, learning about how to do much with little, how to diagnose and treat without the benefit of costly and often superfluous testing. I became a great admirer of the Ugandan resident physicians who had to care for a large volume of very sick patients with just their minds, their stethoscopes, and with a scant few labs values. Unforunately, though quite understandably, most of them dreamed of taking their knowledge and skill from the third world to the first world once they graduated. A physician in Mbarara could expect to earn about $300/month in salary. Though, you are right that the Ugandan roads are a challenge to say the least, they led East Africa in addressing HIV as it arose, with public education and preventative measures, including condoms. As a result, HIV prevalence dropped and they became a test case of how a developing nation might act against the virus. 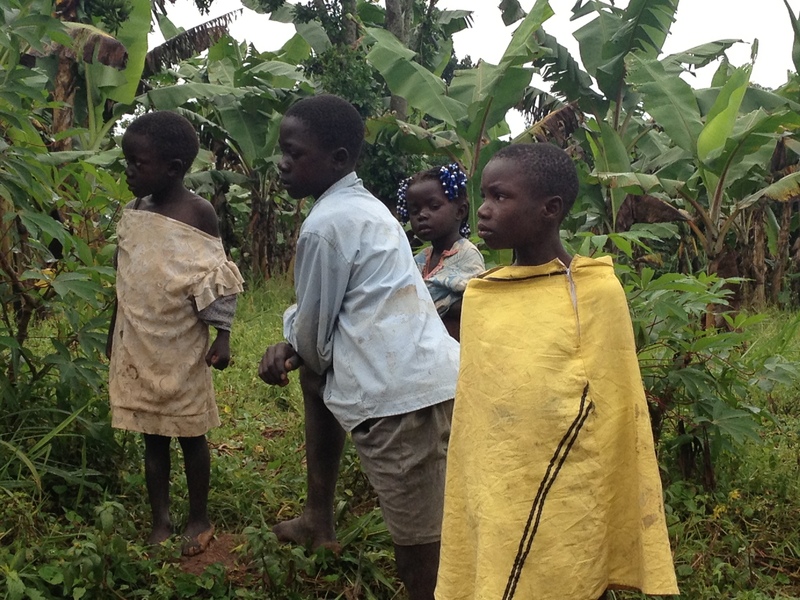 People from all over the world were in Uganda studying HIV prevention and why it worked there. It is a shame that Uganda is now in the public eye for its condemnation and legislation against homosexuality. It is truly a place of great contradictions. Amazingly, just after reading your piece today, a Ugandan man I knew from my trip linked to one of my Facebook photos, a picture I took of him and his family. His name is James and I met him through my uncle. Nearly 40 years earlier, my uncle was traveling through Kampala and was approached by a boy on a bicycle. This boy asked my uncle if he might practice his English with him. They spent a big portion of that day together and remained in contact through letters. The boy grew up, had a family, built a house in the hills of Kampala and kept sending letters, as did my uncle. Though they never saw each again, I was able to close the distance a little by visiting James, that boy on a bicycle. He opened his home to me, took me on a whirlwind tour of the city, including Makere, and enlisted his daughter to drive me out to the mouth of the Nile. I hadn’t heard from him in years, nor he from me, I must admit. I am not nearly as loyal a correspondant as my uncle. Thanks for your consistently wonderful posts. This one brought me great memories and luck.